In 2014, culture360 invites a number of special correspondents to get an insight on issues that are highly discussed in the cultural sector across Asia and Europe. Herman Bashiron Mendolicchio, will explore the concept of cultural mobility, focusing on the European region in particular. Through a number of in-depth articles and interviews, he will attempt to identify the concept of cultural mobility, its perception from the point of view of the funding bodies and the artists and practitioners who are seeking the funding. He will also look at how some countries such as Malta and Greece are integrating the concept of cultural mobility in their national cultural policies. The phenomenon of artist residencies represents a substantial part of the growing issue of cultural mobility. Residency spaces are multiplying everywhere and are providing countless varieties of models that allow artists and cultural practitioners to widen their experience, to connect with new people, places and dimensions and to relate their creative activities to diverse and specific fields. In order to identify, research and analyse the significant variety of models – each with their own specific goals, ambitions and visions – the efforts of several organisations working with these issues locally and globally is proving to be indispensable. Art Motile is one of those organisations focusing their activities on several issues related to residencies and artistic mobility. Based in Barcelona, Spain, Art Motile is focused mainly on developing resources on Spanish artist in residency programmes, while at the same time maintaining involvement in international activities in collaboration with other platforms and networks. I have to thank Marta Gracia, Director of Art Motile, for her answers in this interview and for the numerousmeetings and conversations we had on issues related to mobility and residency programmes. Could you please introduce “Art Motile”, and tell us about its main aims and activities? 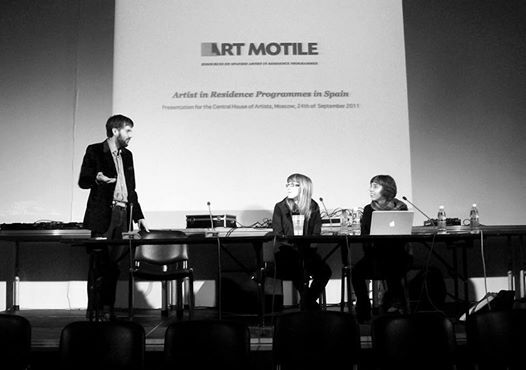 Art Motile is an organisation based in Barcelona that investigates and provides information on Spanish residency programmes for artists and other issues related to artist mobility. We do this by developing online resources (including a database of residencies, news on calls and opportunities, etc. ), giving workshops and presentations, as well as offering advice to both artists and residency programmes. In addition, we develop projects in collaboration with other national and international organisations in order to bring new perspectives to the international phenomenon of artist residencies and mobility. The phenomenon of artist in residency programmes and cultural mobility is increasing worldwide. What is the specific situation in Spain? In Spain we are also experiencing an increase in the number of residency programmes for artists, in addition to the increasing mobility of Spanish artists and cultural agents. In recent years, many residencies have emerged and they are mainly independent and self-managed initiatives. I think this trend can be seen across the entire Spanish art and cultural sector and is a result of, among other things, the gradual break-up of cultural public policies. New initiatives are usually driven by artists or other agents or cultural groups who see a residency as a totally flexible format that can be adapted to their specific needs, as well as a perfect formula for creating a space for sharing and collaboration. Examples of self-managed, independent initiatives located in different regions of Spain include: La Fragua (2010) in Belalcázar (Andalusia); Alga Lab (2008) in Valadares (Galicia); Espacio Islandia (2012) in Madrid (Comunidad de Madrid); BAR Project (2013) in Barcelona (Catalonia); and PACA (Proyectos Artísticos Casa Antonino) (2014) in Trubia (Asturias). These residencies illustrate the diversity of content in the programmes currently operating in Spain, and their different approaches to operating as residencies. With regards to artistic mobility, Spanish artists are more frequently moving around and are no longer working in a single geographical context. This is a trend that is also occurring worldwide. Although mobility is in many senses positive, one of its most controversial aspects is that the increasing trend of mobility is not an option but an obligation. It is becoming increasingly more difficult to pursue a career as an artist without international experience or without travelling or frequently doing some residencies abroad. Furthermore, in the case of Spain, there are still very few programmes that fund and facilitate artistic mobility under appropriate conditions, something which would contribute to making the sector less precarious. Support for mobility within Spanish territory remains an unresolved issue. Among the services your platform offers, you give advice to artists and residencies about several aspects related to mobility projects. 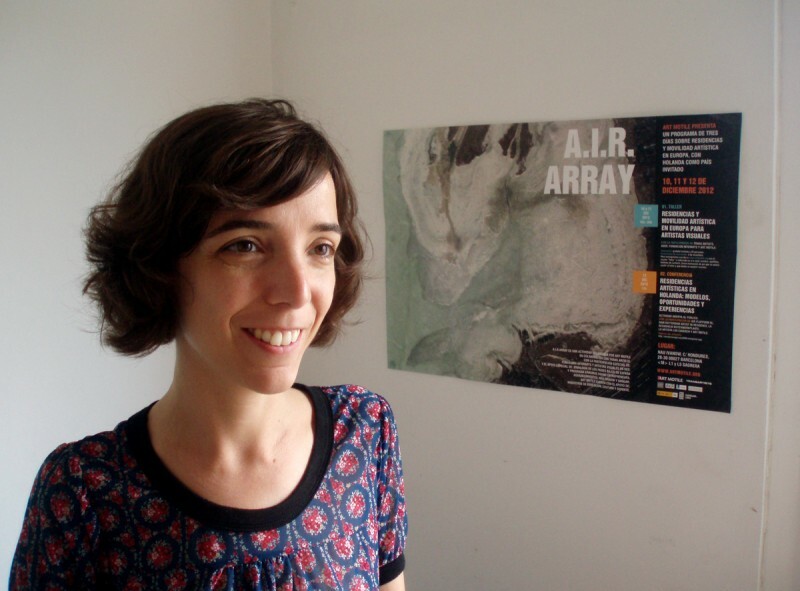 What should artists and residency spaces take into account before joining or starting an AIR programme in Spain? In both cases, the most important thing to consider is motivation. Being clear about the motivation that leads an artist to do a residency would help that same artist in setting and prioritising criteria, which in turn would make the search for and selection of a residency programme easier. At the same time, the more aligned the motivations of the artist are with what the chosen residency programme offers, the more likely it will be that their application will fit with the programme and, once there, the artist can take full advantage of their stay. For residencies, knowing clearly what the motivation is for starting the programme and what the goals of the project are will allow them to find the appropriate formulas for developing the project. There is no residency model that is more valid than another. Everything depends on how consistently the project is implemented. Therefore having clear aims and goals is vital. How do you organise your AIR database? How do you get in touch with all of the AIR programmes in Spain? Art Motile's database began in 2009 thanks to a research grant from the Council for Culture and Arts of Catalonia. The research project was titled "The situation of residency programmes for artists in Spain" and included as a starting point the identification of 27 artistic residencies throughout Spain. Those 27 residencies were the initial entries in Art Motile's database, which has since expanded to the 48 entries we have today. The extension of the database was realised either by invitation (where we contact the residencies) or when the residencies contact us. Either way, we always try to find out as much as possible about the residency programmes and try to keep the database as complete as possible to meet the different needs, artist profiles and types of artistic work. There are several AIR models and strategies. Which are the main current approaches and what is the balance in terms of public and private initiatives? There are many models of residencies and each one responds to both the context in which the programme is situated as well as their individual motivations and goals. Currently in Spain, due to the situation of cultural policies and the economy, models and strategies are becoming increasingly more diversified. There are private, non-profit initiatives that offer workspaces and free accommodation, motivated by the exchange and collaborations that arise between the resident artists and organisers of the initiative. This is the case with, for example, the Werner Thöni Art Space in Barcelona. Other private initiatives that aim to support artistic production and research, combine granted residencies with residencies financed by the artists themselves through scholarship programmes or the artists' own means and resources. This would be the case of, for example, ZAWPLab in Bilbao or Hangar and Homesession, both in Barcelona. In the case of public initiatives, it is much more common to find programmes fully funded by other public institutions such as El Ranchito in Matadero Madrid and its alliance with the Spanish Agency for International Cooperation for Development (AECID); or through collaboration between a public entity and a private company, as in the case of the research residency grants offered by the Reina Sofia Museum (Madrid), which has the support of the Banco Santander Foundation. This are only a few examples of the models and financing strategies of some residency programmes in Spain without going too much into detail; the reality is that the sector is quite broad and heterogeneous. Is there any public funding in Spain for AIR programmes? At Art Motile we don’t know of any public funding programme specifically for residencies. There are however some public institutions that fund exchange programmes between Spanish and foreign residencies, as is the case of Acción Cultural Española, and some private initiatives that promote the exchange of artists with other countries, such as SingCat (an exchange of artists between Catalonia and Singapore), or Jiser (an exchange of artists between Barcelona and Tunisia). There are also some public institutions that promote the mobility of artists from specific regions of Spain, such as the Institut Ramon Llull for artists residing in Catalonia; the Scholarships Habitat Artístic Castelló - Abroad for artists living in Castellón; the Etxepare Basque Institute for artists residing in the Basque Country; or the mobility programme PICE of Spanish Cultural Action for resident artists of any autonomous community in Spain. Beyond Spain, Art Motile is also developing projects and research internationally. Could you tell me more about your international activities? The work of Art Motile wouldn't make sense if it were not based on coordination, networking and complementarity with other platforms for information and research on issues of mobility and residencies. That's why the organisation has worked since its inception in collaboration with TransArtists since its inception, and we are also in contact with and occasionally collaborate with Res Artis. 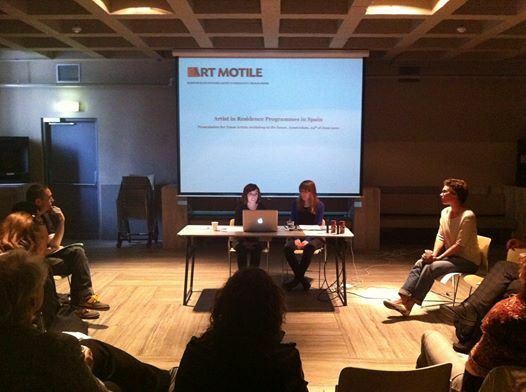 In the Spanish context, Art Motile is also in contact with initiatives, organisations and networks working in fields related to residencies and artistic mobility such as Xarxaprod, the Network of Creative and Production Spaces in Catalonia and the Trans-Iberian Network of Independent Cultural Spaces. Talking about the connection between art, ecology and sustainability: could you tell me what is your vision regarding these issues and what is your contribution to the GALA (Green Art Lab Alliances) project? GALA is a European project about artistic mobility and sustainability that involves 20 European organisations with the aim of creating a European network of individuals and organisations dedicated to combining, through various actions, artistic mobility and environmental sustainability. Art Motile participated in the project with the organisation of a workshop on how artist mobility programmes and residencies can contribute to environmental sustainability. 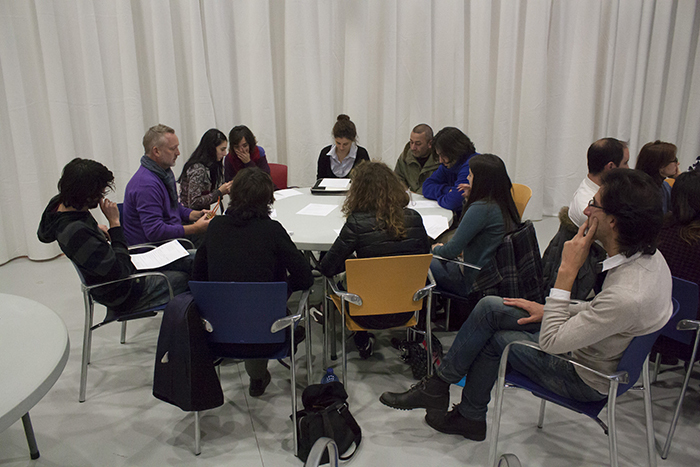 The workshop took place within the framework of a conference that Art Motile organised at the Museum of Contemporary Art Gas Natural Fenosa (A Coruña) in November last year. What are your next steps both in Spain and at an international level? Our medium-term priorities are: a) to improve the quality of our services and content (our database, online news and advice service); b) to continue generating activities that serve as meeting and exchange spaces between all stakeholders in the field of artistic mobility (artists, residencies, networks, platforms and policy makers); c) to continue developing and strengthening our work with other platforms and agents; d) to actively contribute to the generation of new content and relations in the field of residencies and artistic mobility by developing new projects with other organisations; e) to initiate concrete action in the field of public cultural policies related to artist residencies and other issues related to artistic mobility.